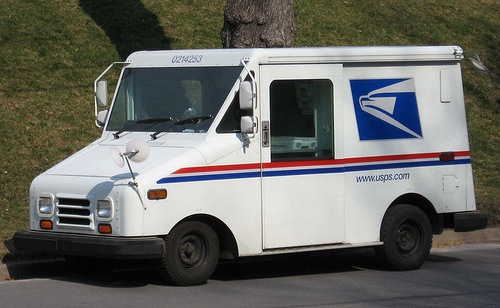 As many people know, the United States Postal Service (USPS) changed their shipping lineup in the summer of 2013. Chiefly among the changes was the renaming of the Express mailpieces into its current form, Priority Mail Express. There are now two offerings in the Priority category: Priority Mail and Priority Mail Express. Priority Mail has remained mostly the same, with the exception of estimated shipping times varying from 1-3 days based on origin and destination (The closer, the faster). These new offerings include the option of package insurance and a guaranteed shipping time of 2 days for Priority Mail Express. That’s right, TWO DAYS. They state 1 day overnight, but legally they have up to two days for some regions. Now, what regions are those? Input the origin area code of 07024. From there you can input the destination zip code. This will only tell you the estimated time for Priority Mail delivery. Even if the estimated time is 1 day, it does not necessarily mean it will be delivered in one day. The USPS is notorious for delayed packages, and they have up to the 3 day limit for delivering packages with regular Priority. Now, let’s talk about why your Priority Mail Express package was delayed or not shipped. The reasons can be simple. NoseSecret does not operate on the weekends. Unless otherwise specifically asked for, there is also no post on Sundays. Priority Express can be delivered on Sunday, but costs extra. As our shipping policy clearly outlines, we also do not ship to a differing addresses for first time customers. There is no exception. YOU MUST complete the verification process if you wish to proceed. Now let’s talk about signature verification. If you order Priority Express, be prepared to accept it the next day. Do not make the mistake of not being there or being otherwise engaged, because IT WILL REQUIRE A SIGNATURE. When packages are shipped, an automated email is sent to the registered email address on file. The email will contain relevant financial information concerning your purchase as well as a tracking number for your convenience (Only US). The tracking number will allow you to determine the current status of the package. Please, only contact us if the required, guaranteed date has passed for shipping. For First Class Package that is 3-5 days. For Priority it is 3 days. For Express it is 2 days. Only after the allotted time has run out, and you have contacted your post office to determine status, should you contact us. We are not liable for misplaced or lost packages. It is the responsibility of the USPS to honor their guarantee. We can do nothing except show proof of shipment.